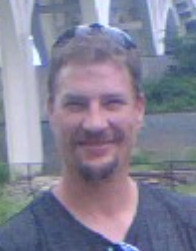 Christopher S. Strain, age 43, resident of Mansfield died unexpectedly Saturday, August 18, 2018 at his home. Born December 31, 1974 in Shelby he had been a Shelby resident for many years moving to Mansfield in the early 1990's. He was a 1993 graduate of Shelby High School and had attended Bowling Green State University and North Central Technical College. Chris was owner operator of KD Pizza in Mansfield for thirteen years and in the last year received his real estate license. He was a volunteer coach with the Upward Sports youth basketball program and enjoyed playing softball and tennis. He will always be remembered for his big personality and his hearty laugh that would fill the room. He is survived by his former wife Megan Arthur Strain; his children Sydney Strain, Trinity Strain and Hayden Strain, all of Mansfield; his mother Cindy Strain and Cliff Bruner of Shelby and his father Doug (Linda) Strain of Ontario; his sister Jodi (Keith) Toney of West Hartford, Connecticut; his brother Craig (Mary) Strain of Emery, South Dakota; nieces nephews and other relatives. A memorial funeral services will be held 11:00 AM Friday, August 24, 2018 at the Barkdull Funeral Home and Crematory in Shelby. Brother Dan Gates will officiate. Friends may call at the funeral home Friday from 10:00 to 11:00 AM.